Electrofusion fitings for gas, water and waste water - CASCADE PLC - The new home of Cascade Clamps UK Ltd, Suppliers and Manufacturers of pipe fittings to the water & gas industry. 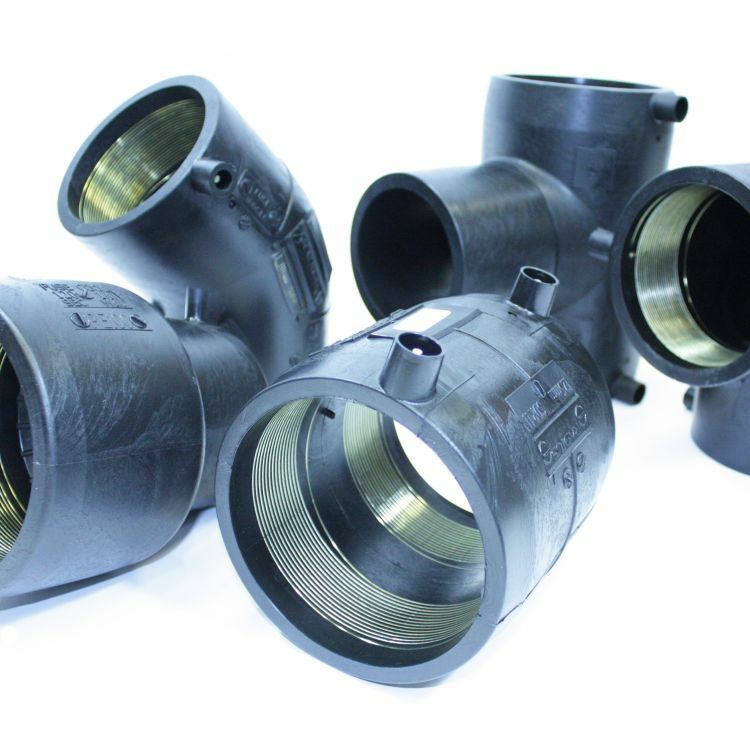 ​Specifically designed for ease of assembly and to provide optimum efficiency during the welding process, our range of universal black electrofusion fittings offers specifiers and installers a high performance jointing solution for their whole polyethylene pipeline. Designed for drinking water and wastewater, natural and suitable manufactured gases polyethylene pipelines, our range of electrofusion fittings are made from high strength black PE100, with exposed wire technology offering maximum heat transfer and distribution during the welding process. For ease of installation our socket fittings are manufactured with insertion stops to ensure the pipe is fully engaged into the fitting during assembly.